As the Centre Director of International Enterprise Singapore’s (IE Singapore) overseas centre in Manila, Darren Lee is part of the action driving international trade and partnering with Singapore companies to go global. With a keen interest in public service and the global marketplace, Darren believed that IE Singapore was the choice organisation for him. Darren’s journey started when he was awarded the IE Singapore Mid-Term Scholarship. This scholarship opened many doors for him and he experienced firsthand IE Singapore’s work in the global marketplace, particularly during his stint in Chengdu, China. “The opportunity to do an overseas internship and witness the mechanics of international business and trade was very exciting! I supported the bilateral council for the Singapore Sichuan Trade and Investment Committee Meeting. It was particularly memorable and meaningful as I saw the mechanisms that Singapore established to strengthen trade and investments between both countries. The council is certainly a feasible avenue to assist our companies on this journey,” he recalls. 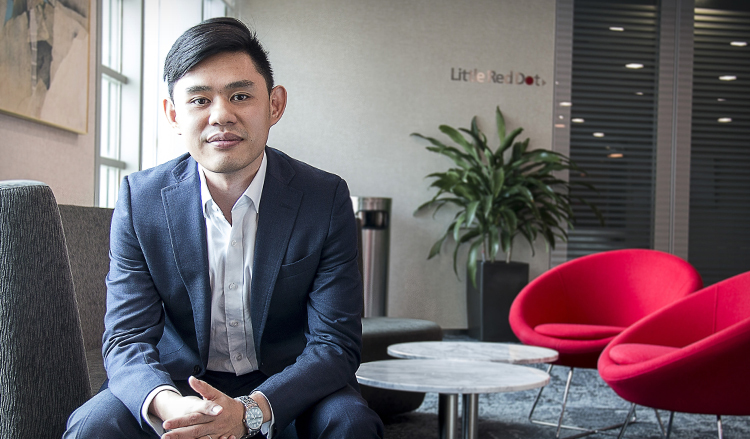 Apart from undergraduate internships, Darren has also benefited from a series of Global Executive Programmes (GEPs) that IE Singapore conducts to integrate new staff into the organisation. “These programmes provided me with useful insights to the organisation and its vibrant work culture. There was even an in-market portion where I got to visit Ascendas India to understand the challenges they faced. It is inspiring to hear how the project team overcame local challenges and executed the project. It was a reminder that internationalisation involves stepping out of one’s comfort zone and understanding the local context. The local view is crucial in identifying feasible solutions in overseas markets,” Darren shares. As a Centre Director in Manila, Darren works with his team to facilitate a Singapore company’s expansion plan in the Philippines, advising them on product offerings and market entry strategies. He also works closely with the Philippines government agencies to identify ways to streamline Singapore’s capabilities in the sector and with Philippines-based companies to encourage them to trade with Singapore. Darren’s work also involves building a network of business contacts who will offer useful advice and support for Singapore companies who are planning to operate in the Philippines. One of Darren’s most memorable moments during his career thus far would be the launch of a project which helped companies in the e-commerce sector source for opportunities. The process of bringing the project to life was challenging, one that required him to persevere, think fast and show tremendous initiative, but Darren is glad that he persevered and succeeded. In his previous role with the Transport & Logistics Division, Darren was in charge of the industry development of the e-commerce and fulfilment sector. Here he worked closely with senior level executives of high potential companies, advising companies on product offerings and market entry strategy. The team also worked closely with other government agencies and identified ways to streamline Singapore’s capabilities in the sector. The many rewarding moments are what keep her going.